Any compound when burned emits a cocktail of gases, which are harmful to humans. The significant of these gases is increased if the area under fire is compact. Chamber made of polypropylene polymer sheet of 8mm thick. With safety lid provided on the top. All digital indicators for variable properties like temperature and time. This test determines the amount of various toxic gases emitted during the burning of various material . Recent adverse events have clearly shown that all Herbal products are not free from side effects and toxicity. Products that have been confirmed to have bioefficacy can then be taken up for safety studies to determine possible side effects, adverse reactions and the maximum tolerable dosages. We undertake acute, sub-acute and chronic toxicity studies in animals. We are dealing in Toxicity Tester. Below are the mentioned technical specification of the product. 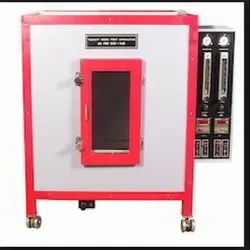 we specialize in the fabrication of toxic gas analyzer, toxic gas monitor that are extensively used in the quality assessment in several industries. 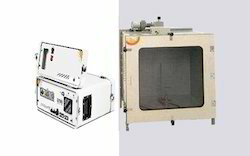 These toxic gas analyzer, toxic gas monitor stand high in terms of quality and are known in the market for their features of preciseness and durability. - Mercury | Hydrogen Sulfide Analyzers.